Powerful drummer, Rod De´Ath was born Roderick Morris Buckenham De´Ath on June 18th, 1950 in Saundersfoot, Pembrokeshire, Wales. But Thorndycraft left after a while. In June 1972, Martin and De´Ath joined Rory Gallagher. I think the band carried on for a while, but morphed into a new edition of Toe Fat. 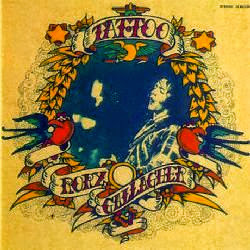 They released some of the best albums by Rory: Blueprint (February 1973), my loved Tattoo (August 1973), the wonderful double live album Irish tour ´74 (August 1974) and Against the grain (November 1975) and Calling card (October 1976). In May 1978, after some tensions while recording a new album (that remained shelved until 2011, when it was released as part of the 2CD Notes from San Francisco), Martin and De´Ath were left out of the band and they went to form Ramrod. The band (comprising his mates Martin and De´Ath who were still part of Rory Gallagher at this time) is featured in two tracks there. But Mick Clarke left some time later. They released a live album Live in the 80´s. Rod De´Ath and Terry Gibson had left the band in 1989, but my guess is that Rod left the band much earlier. Can someone help me with additional info, please? Don´t know the exact year, but Rod finally moved to the States to live. But, sometime later, he was asked to act as a producer for an album for the band Erect Road in London, so he went back to England, but suffered a terrible accident who made a very severe impact on him. He lost an eye and entered into coma for a long period. When he woke up, he had lost all his memory, not knowing who he was. Along the weeks, fortunately he recovered most of his memory but he couldn´t play drums anymore. For years, rumour was spread about that Rod De´Ath was dead, until he made an appearance at a Rory Gallagher memorial service. He was well, although with some health problems. But he surpassed by far the life previsions that doctors gave him (4 years of life) after his accident. Sadly, in 2014, his health started failing, with cancer appearing and he went into massive surgery. After some weeks, he finally passed away on August 1st, 2014. Rory has always been a hero to me, but he wasn't alone, he had his band, and they also deserve my respect and admiration. So this page is my own tribute. Thanks for your music, Rod. Comments: Recorded in February 1987. CD release contains 2 bonus tracks. Comments: This album was reissued as Sect appeal with 4 studio tracks as bonus. Comments: This album includes 4 tracks recorded in the studio in May 1980, and 14 live tracks that appeared in the album Live in the 80´s recorded in the Spring of 1980. Comments: CD contains 2 bonus tracks. Comments: Recorded in the summer of 1973. CD reissue contains 2 bonus tracks. Comments: Recorded live in different concerts in January 1974. My opinion: Beware, as the album called simply Irish tour is an abridged version of the original 2LP, missing tracks. You should go for the complete album! Comments: Recorded in the summer of 1976. CD reissue contains 2 bonus tracks. Comments: 2CD with live radio recordings from 1971 to 1986, thus with different band lineups. Comments: This album includes 2 tracks from 1975 (with Gerry McAvoy, Lou Martin and Rod De´Ath), 3 live tracks from 1994 (with Mark Feltham and Bela Fleck), and others with no indication of the period when they were recorded. Comments: 2DVD containing live tracks from Rory Gallagher five appearances at Montreux Jazz Festival: 1975, 1977, 1979, 1985 and 1994. Comments: This double CD, released in 2011, contains an unreleased studio album from 1978 (with Gerry McAvoy, Lou Martin and Rod De´Ath), plus an unreleased live album from December 1979 (with Gerry McAvoy and Ted McKenna). Comments: 2LP compilation, only released in Germany. Comments: Compilation with tracks from all Rory albums up to that year 1975. 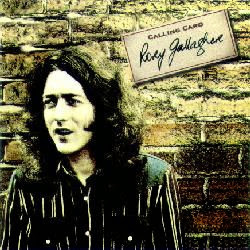 Comments: 2CD compilation covering Rory Gallagher solo career (also with some track by Taste) with a few unreleased takes. Comments: Live album (LP+EP) recorded at The Bridge House, Canning Town, London in April 1978. The album is shared with 5 bands: Jackie Lynton's Happy Days, Gerry McAvoy Jam, Salt, Filthy McNasty (3 tracks: ´Move Over´, ´Fire Down Below´ and ´Can't Get Next to You´), Remus Down Boulevard (2 tracks: ´Only for you´ and ´Gunrunner´). Comments: Tommy Morrison is a friend of Paul Rodgers, so Paul produced the album and asked some of his mates (Lou Martin, Rod De´Ath, Stewart McDonald) to play here. Comments: This album was arranged by Rod De´Ath, where Lord Sutch re-recorded some of his most famous tunes. Mick Abrahams, Dave Adams, Neil Ainsby, Avid Andersen, Larry Anderson, Angi Antinori, John Banks, Johnny Bedder, Sid Berry, Neil Besmoori, Ritchie Blackmore, Derek Bond, Bob Burgos, Jim Byers, Johnny Casanova, Jerry Chapman, Fred Cheeseman, Vic Clark, Stuart Colman, Pete Cowling, Frogman Curtis, Brad Dallaston, Tony Dangerfield, Spencer Davies, Derek Davis,... up to 127 musicians. Around 1983, Mick Clarke started working with demos for what was to be his first solo album, Looking for trouble. He recorded those demos with Steve Waller, Lou Martin and Rod De´Ath. But Waller and De´Ath don´t appear in the final album. 01. Was Rod a member of a band called Mystery Train (maybe with Keith Grant)? 02. Were there more different lineups of Killing Floor featuring Rod? 03. Did Rod record some material with Killing Floor (what was supposed to be their 3rd album)? 04. Did Ramrod recorded any album? I can´t find that info! 05. Who is missing in the Chris Glen Band lineup? Maybe Dave Edwards? Mick Clarke: for his kind and warm messages, full of info (2001). Roger Cloake: for very interesting info about Chris Glen and Rod during 1979 and 1980 (2003). Alex Gitlin: my friend, for all his help, as well as for our interchange of info about Killing Floor, Rory Gallagher, Salt and Ramrod.